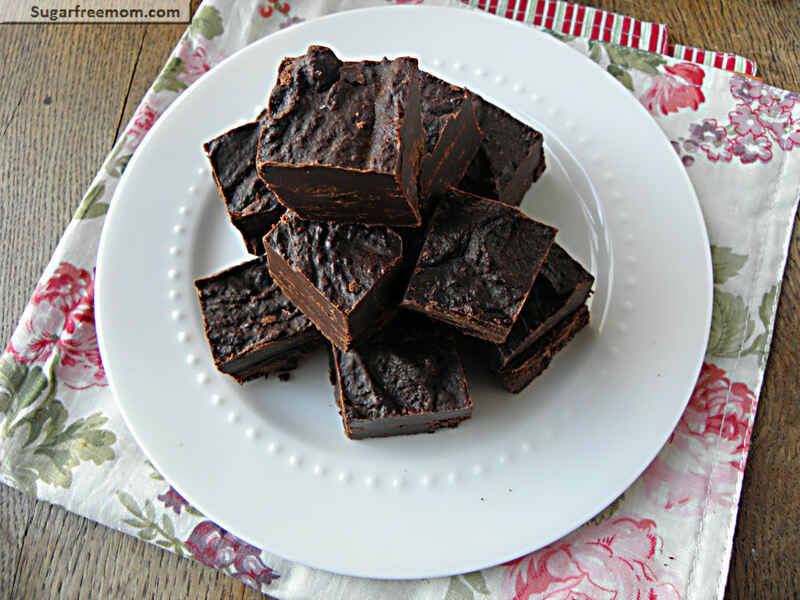 Perfect fudge in the crock pot? Yes oh yes indeed! 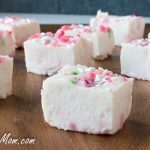 Easy, no fuss and absolutely delicious too! Only a few ingredients needed to make this yumminess. 3 hours in the crock pot and about an hour or two to chill in the fridge and that’s it! Let the crock do the work for you! Pull it out of the pan once hardened onto a cutting board and cut into 18 slices. 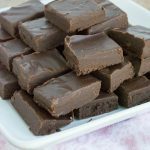 My family loves fudge but I’m not really a fan so when I do make it I want easy and this is easy. 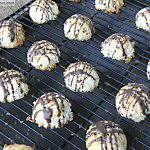 The hubby said these taste like a peppermint patty! 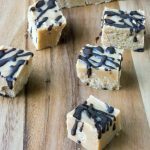 Although this recipe isn’t sugar-free, it is refined sugar- free using the Enjoy Life chocolate chips. That is fine with me since I was making it for my family and not myself. 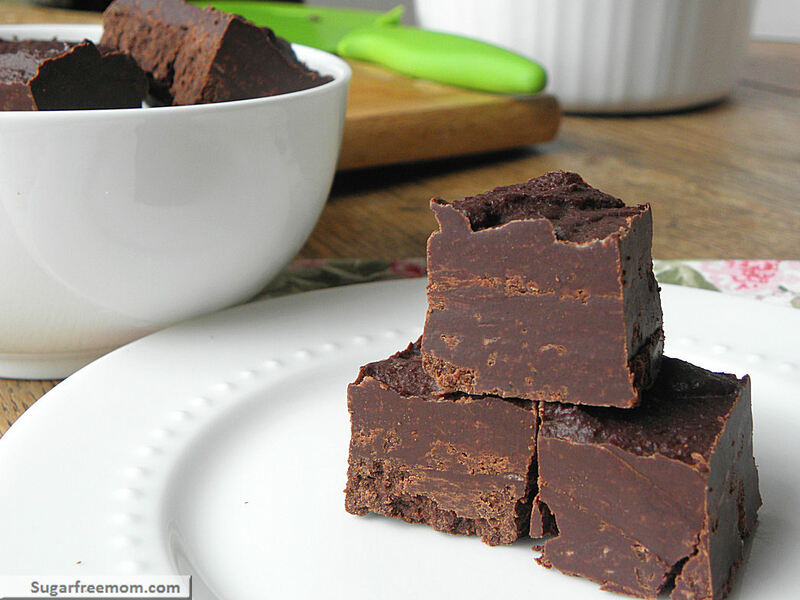 I have another fudge recipe in the works for you. It needs to be fine tuned a bit more so you’ll have to wait but it will be worth it and it is completely sugar free! Until then enjoy this one! If you can find grain sweetened chocolate chips from Whole Foods by the brand Sunspire that would be my first choice. Unfortunately they are difficult to find. If not try the ones I linked below. I used Enjoy Life brand which is dairy, nut, soy and gluten free sweetened with evaporated cane juice which is less refined that white sugar. 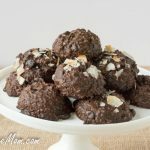 Another option is to try carob chips that are unsweetened. UPDATE: As of October 2013: I have recently found a sugar-free chocolate chip made with stevia by the brand Lily’s. Tastes great, lets wonderfully! Nutrition info reflects using these sugar-free chips. 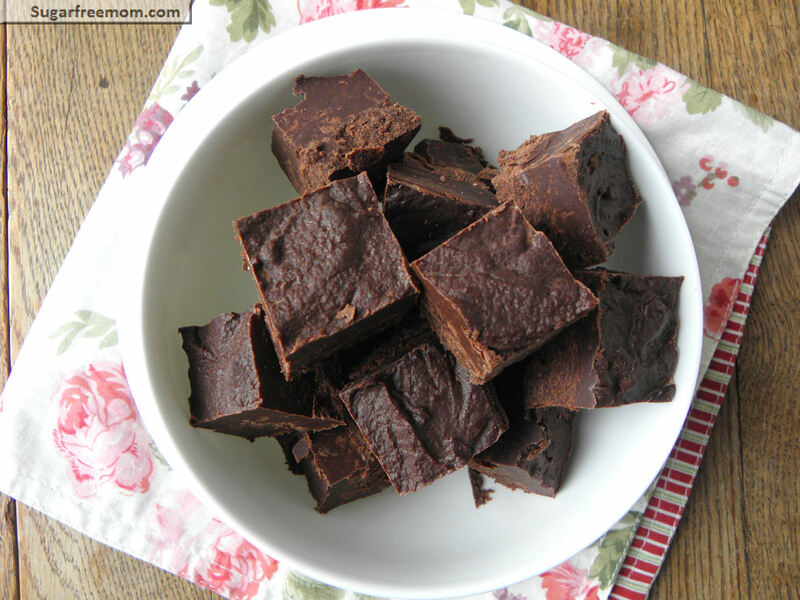 *This recipe was adapted from my original fudge recipe. In a small bowl mix together all ingredients then add to a small 3 or 4 quart crock pot. Uncover and cook 1 more hour. Stir well for 5 minutes. Line a 1 quart baking dish with parchment paper and pour in chocolate. 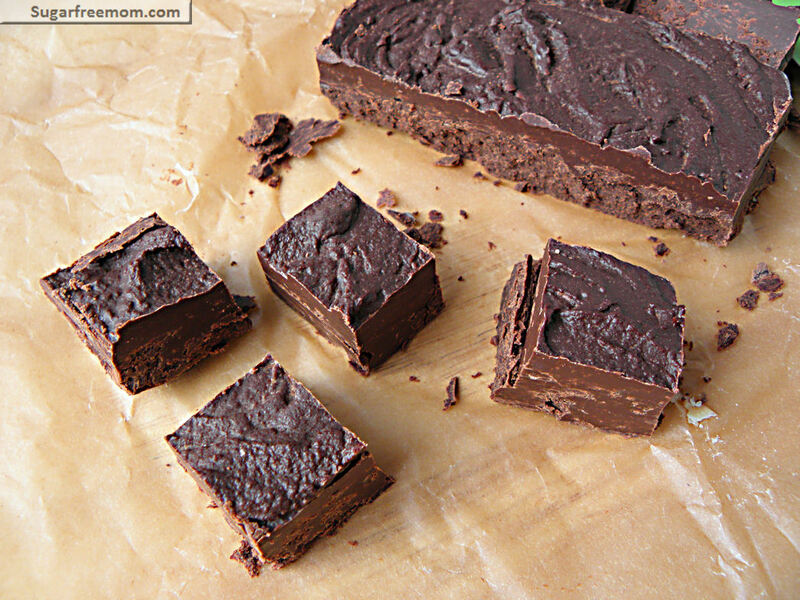 Refrigerate for 1 to 2 hours or until hardened. Lift onto cutting board and cut into 18 pieces. Dairy free…AWESOME. Will give this one a try for sure. Keep those dairy free options coming! Om nom nom. They look amazing. This might be a really basic question, but is evaporated cane juice the same or similar to an ingredient listing of “cane sugar”? I bought the Trader Joe’s semi-sweet chocolate chips yesterday (GF, but now the label says the could contain dairy?). On the sugar front, is this better than white processed sugar? This recipe looks delicious!! Chocolate and mint is my favorite combo. Chocolate and EASY is my second fave combo! LOL! Evaporated cane juice is less processed than white sugar alone so it is better when you see that listed as an ingredients. For my children I allow them to have products made with evaporated cane juice, like some yogurts. But for myself I need to rarely, if at all, eat it as it does make me crave more sugar. If I saw a product listed with just cane sugar than I believe it is the same as white processed sugar. Bummer! Back to the drawing board! =) Thanks so much for the info! Has anyone by chance substituted honey or maple syrup for the stevia? I have both on hand, but no stevia…. 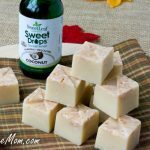 Would this work with canned light coconut milk? Thanks for the recipe! I have not tried it but I do not think it will work and may be too soft to hold. I only have squares of chocolate on hand. Do you think that would work? Any idea of ratio for how many squares per cup? you could use the same amount of 2 1/2 cups in ounces of the baking squares so that is 20 ounces. thank you! guess I should have thought of converting it that way… thanks! We need gluten free & dairy free recipes in our house. Pinned to my ‘Healthy Holidays” board. I liked this fudge but it melted a bit after I took it out if the fridge. Is it supposed to? 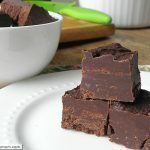 I was hoping to find a fudge that did not melt after it had hardened in the fridge.